10,000 Unique visits to the website! The website recently registered its 10,000th unique visit! The website has came a long way, but still needs lots of work. Please pass on any articles or pictures you would like posted on the website to Brother Jim Fletcher. 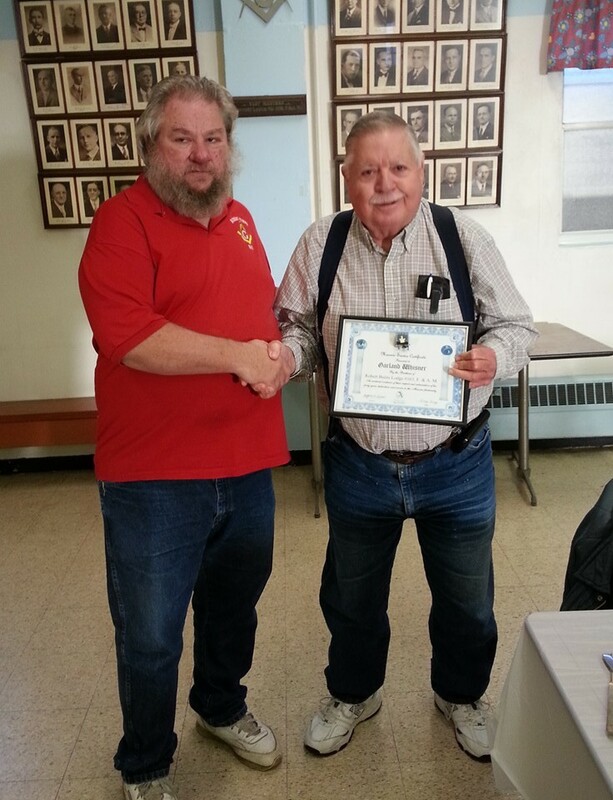 Master Gary Long caught up with Garland Whisner to present him with his 40 year service pin and award. Brother Garland is a regular at the Robert Burns breakfast. We appreciate your dedication to the lodge brother!